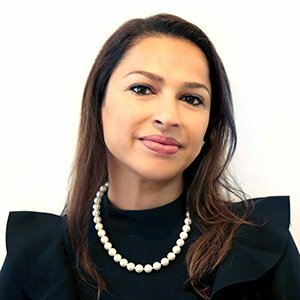 As RGBSI’s VP of Human Resources, Sheenoo Sekhon is responsible for overseeing all global recruitment programs and processes. Through conceptual planning, application, and evaluation, Sheenoo has implemented several successful recruitment strategies that continue to attract quality candidates for the most qualified opportunities. Holding a bachelor’s degree in electrical and computer engineering from Wayne State University, Sheenoo approaches her role from a logical perspective. As an expert in evaluating hiring needs and building collaborative relationships, Sheenoo works diligently with corporate clients to identify associated competencies of technical job requirements. Under Sheenoo’s leadership, RGBSI enacts seamless recruitment and HR processes to ensure best fit candidates are always being presented to clients. In addition, Sheenoo supports all of RGBSI’s internal HR initiatives, which nurture RGBSI’s employee-centric work culture. She is instrumental in defining effective communication tactics and designing competitive compensation and benefit plans for all employees. Sheenoo also works to extend RGBSI’s geographical reach by coordinating job fairs that facilitate applicant interest around the globe. One of her proudest accomplishments includes evaluating, selecting, and implementing an applicant tracking system that now manages RGBSI’s entire recruitment lifecycle.